If you suffer from dental complications that lead to a less than perfect smile, you know how much it would mean to be able to have a perfect, pearly white smile again. If your specific concern involves one or many missing teeth, then it’s likely you have taken time to consider the option that lay in dental implants. 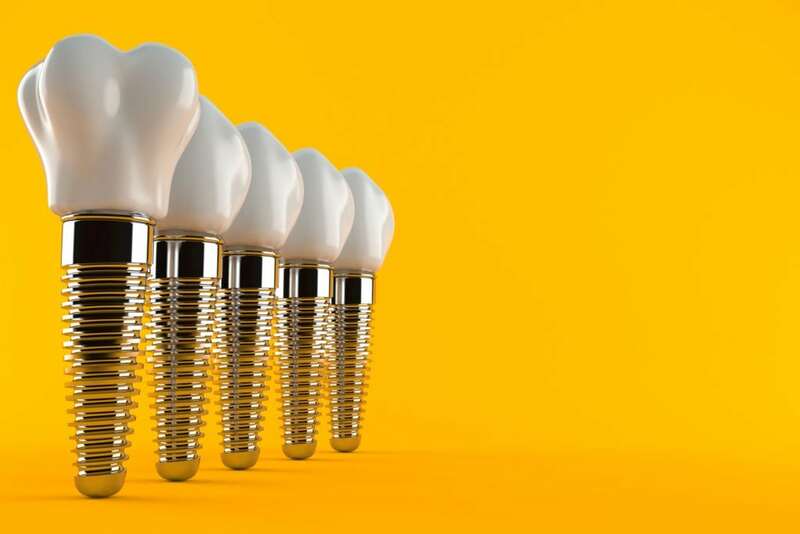 Dental implants are kind of a dream for those who live their life without a full, winning smile, and they’re a great way to restore that smile to its previous beauty! If you’re considering getting dental implants, then you need to speak with your dentist to consider all of the possible elements that go into deciding if they’re right for you. I Miss My Beautiful Smile, Can Dental Implants Restore It To Me? When you’re considering getting dental implants this is likely one of the most pressing questions on your mind. Whether or not this procedure is going to be appropriate for you is an important thing to discuss, and there are a few elements that must be discussed to determine if this is, in fact, going to be the solution you’re looking for. It all starts with oral health, if you’ve been missing your teeth for a while there is a possibility that your jaw will have shrunk or changed shape, potentially making dental implants inappropriate for your case. If your jaw has shrunk too much after not having teeth it can mean that it will be unable to support the titanium implants necessary. Dental implants do come with a significant financial cost and one that isn’t often mitigated by insurance companies. In some cases, your insurance may determine that dental implants are covered, but you will have to speak to your policyholder about these details. When paid out of pocket implants can run as much as $1000 or more per tooth, with prices varying depending on the number of teeth you need and the state of your oral health. What Goes Into Caring For My Dental Implants? Once you’ve received your dental implants caring for them couldn’t be simpler. Unlike dentures, which have to be removed nightly and treated carefully, dental implants only get removed during your bi-yearly checkup. They are durable and resistant to decay and staining, though you will want to avoid coffee, tea, and other staining factors, and take no more care than your natural teeth did. Regular brushing, use of mouthwash, and seeing your dentist regularly will all help these amazing innovations last your lifetime. If you’re considering getting dental implants you might want to call an expert like those at the Rockdale Smile Center. Dr. David Pendleton has been helping patients decide whether dental implants are right for them for years, and can provide wonderful information and options. Don’t let another year go by with a smile that makes you self-conscious, getting dental implants can let you smile with confidence and return some of your favorite long-lost foods to your diet! Call today!